ACEF organized its 7th forum and awards for Branding, Marketing, and Rural Initiatives and CSR activities. The event was held on 5th October 2018 at Hotel Westin, Mumbai. The theme for this year’s happening was “Integrating advertising, Branding and Marketing Communications”. More than 350 senior level professionals from marketing, branding and marketing agencies attended the event. In the event, the speaker’s KV Sridhar, Ravikanth Bank, Jayant Kshirsagar, Anamika Sirohi enlightened the participants with their knowledge and experience apart from that individuals and organizations were recognized for brilliance on branding and marketing. The region’s top companies and brand marketers redefined how to assemble and prolong great brands amidst rapid cultural and technological change. The event provided elite spectators of senior marketing executives. Zydus health care won the gold position in the Excellence in branding for the most innovative marketing strategy. Johnson and Johnson won an award in the Excellence in CSR category. The awards (over 350 shortlisted entries from over 90 organisations) were judged by Sr. Level industry professionals from across the globe. Companies from various sectors were recognized for their Excellence in Branding, Marketing, Rural Activities and CSR Initiatives. 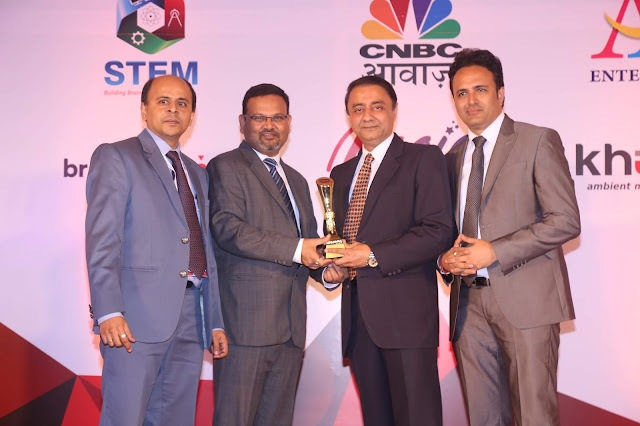 To prominent names in the award winners list were:Outstanding Individual Corporate Leadership: Mr Rana Kapoor, Founder, Managing Director & CEO, Yes Bank & Mr. Brajesh Kumar Choudhary, General Manager-CSR and Group CSR Head, Sun Pharmaceutical Industries Ltd. Outstanding Individual Community Hero: Mr. Suresh Chukkapalli, Chairman, Phoenix Group. Marketing Leader of The Year for 2018: Nikhil Rastogi, Director Marketing And Digital Business, Citibank India & Rubeena Singh, CEO, iProspect. ACEF Award for Asian Marketing Leadership 2018:Mr. Sujan Roy, Head International Business, Passenger Vehicle, Tata Motors, Mr. Navin Thakur, Head Marketing, Vascon Engineers Ltd., Mr. Karan Kumar, Head of Brand and Marketing Strategy, Fabindia Overseas Private Limited. Most Admired Business Leader 2018: Samrat Gupta – CEO – Tata Motors Finance & Mr. Amit Saxena, CEO & MD, Unimoni Financial Services Ltd. Excellence in Business Development: Umesh N. Jhawar, VP – Strategy & IR, Arihant Superstructures Ltd. Most Admired Brand Manager 2018 (Joint Winners): Abhijan Roy, Brand Manager. Emami Navratna Oil & Mandeep Singh Gulati, Deputy VP-Marketing, Aegon Life Insurance Company Limited, Young Entrepreneur of the Year 2018: Arvind Jain, Netbiz. Young Marketing Leader of the Year 2018: Siddharth Bhatia, Chief Marketing Officer, Radius Developers; NEHA GUPTA DE, HIL LIMITED: RISHI BARUAH, DIRECTOR, Pratidin Group. Most Admired Brand of the Year: Reliance Digital. Marketing Team of the Year: Motilal Oswal Financial Services Ltd. Marketing Effective Agency of the Year: THINK XQ. Ambient Marketing Agency of the Year: Khushi Advertising. Most Admired Upcoming Agency of the Year: FreshBox Media Pvt. Ltd. The forum helped the business with generating brand reorganization, generate sales growth, boost employee moral, and obtain third-party endorsement. The event was attended by the CMO’s, VPs of the marketing, brand and product managers, advertising agencies, innovative brand engagement practitioners, consumer insight professionals, researches, agencies and people related to the industry. The main magnetism of the event structured this year was the introduction of the new categories in the award ceremony .i.e. the category for Sr. level professionals and Organisation in the branding and marketing categories. This affair helped the professionals to grow and discover solutions from the information shared by the expertise. It updated them on the current topics and the recent business methods and tools. The participants got a brief of new trends, best practices, and case studies so that they can get a clear picture of practices followed in the industry. The prominent thing that the participants learn was about their clientele and the tactic to engage with them. Founded in 2012-13, the ACEF program is organized by a team of professionals from India, Srilanka, and UAE and is guided by the Advisory Members from Branding, Marketing and Creative Agencies based in India, US, Australia, Singapore, UAE, and Srilanka. Their programs are focused on Customer Engagement Activities, Branding, Marketing, CSR, Rural Marketing, Properties (Hospitality & Real Estate), HR and are planned for India, Srilanka, GCC Continent, and Asia Pacific Regions. In April 2019, ACEF is coming up with Forum and Awards for AI (Artificial Intelligence) for Enterprises and Global Customer Engagement Awards.